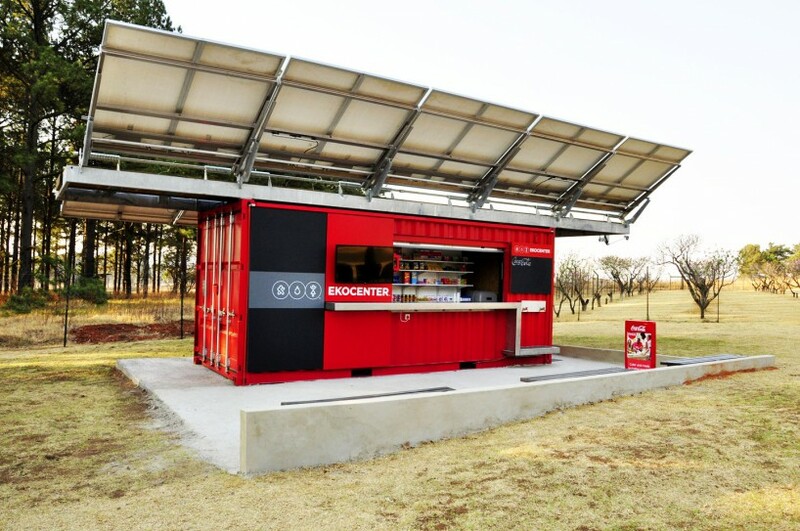 Modular designed kiosk made from 20-foot shipping containers, providing access to safe drinking water. 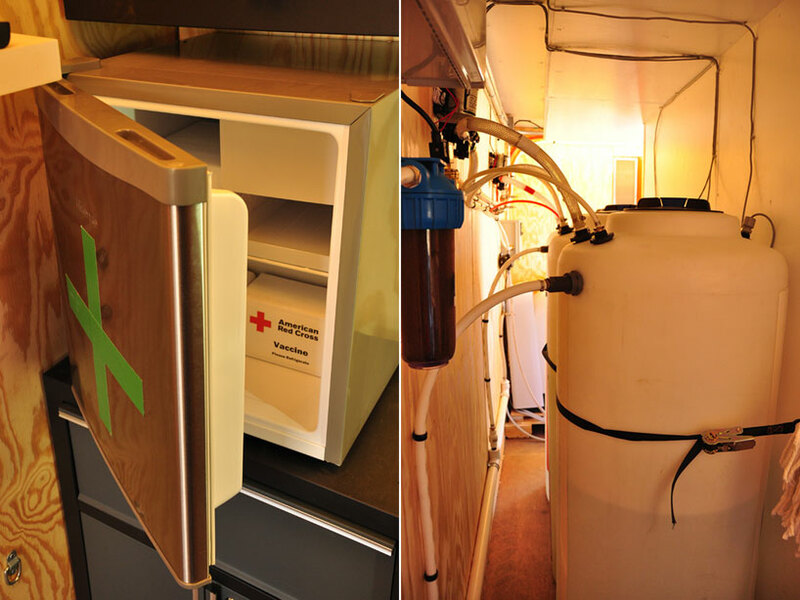 Technology included are solar panels and a purification system that condenses clean water from any dirty source. 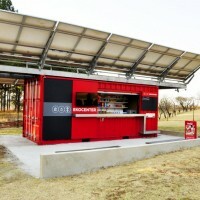 Aimed at developing countries, the unit is designed to function as a community centre, and encourage local entrepreneurship. Vaccine storage and water tanks. 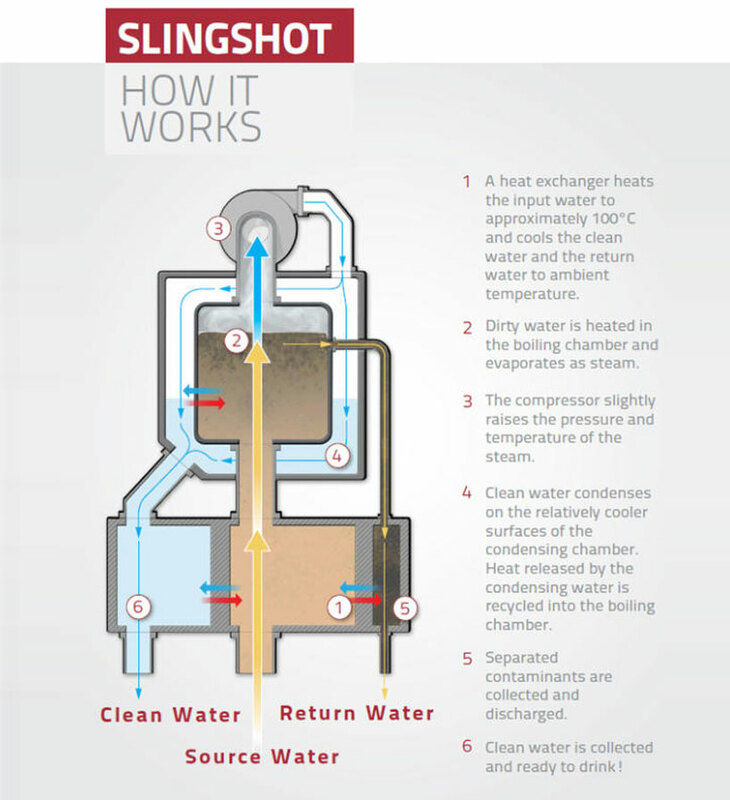 Designed by Dean Kamen, the 'slingshot' uses vapour compression distillation technology. This incorporates a generator, compressor and an arrangement of heat exchangers to increase efficiency so that energy is preserved. The production capacity is 800 litres per day at 1 kwh electricity consumption.